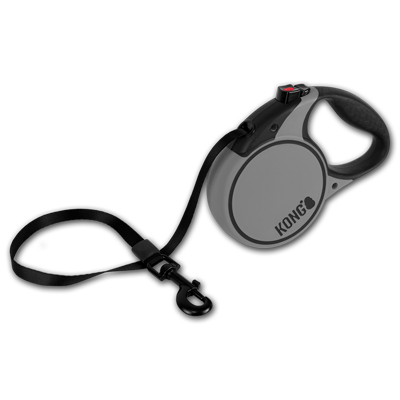 The new KONG® retractable lead series includes unique models designed for different types of dogs and walking environments. 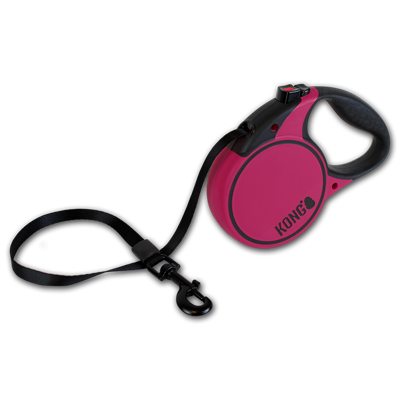 Each model features a soft grip handle with added grip support for a comfortable hold and wide tape webbing. 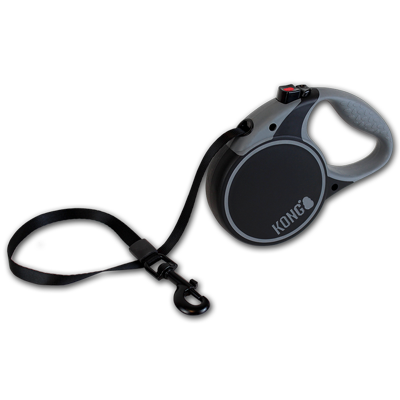 Our intuitive brake and lock mechanism works with a natural walking motion and with a dog’s walking tendencies. Like all KONG products, you can depend on these retractable leads for durability and strength walk after walk.